I have covered some Twitter related posts before this, and recently, January 27th 2014, photos that you post on Twitter can be made even better! 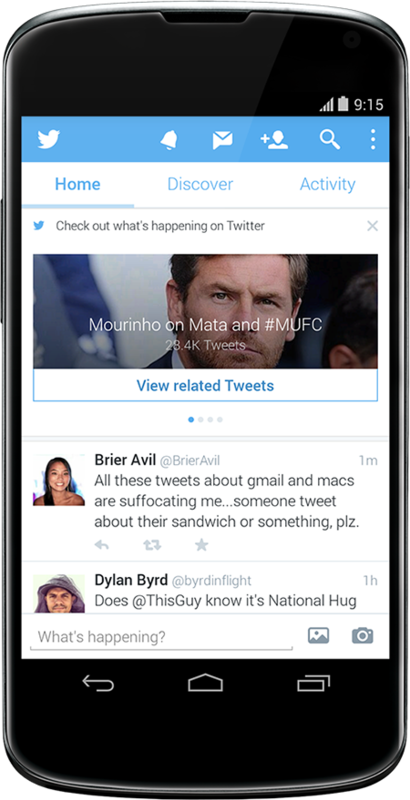 Updates are already available on Twitter for Android, and coming soon to Twitter for iPhone. 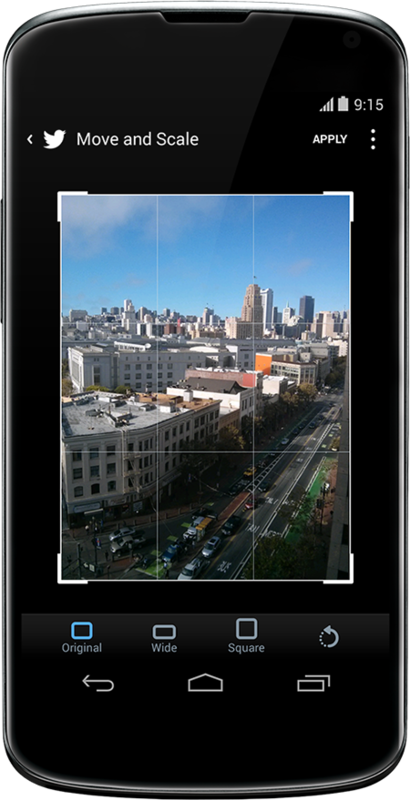 Now you can crop your photos by selecting an aspect, such as a square or wide. You can rotate an image before you share it to make sure it fits nicely in your Tweet, and when you upload a photo of people, you will see a reminder to add a "@" mention to your friends so that they can also see the photo that you have shared! With this update, if you pull down on your home timeline to refresh it and there are no new Tweets to load, you may see recommended Tweets, trending topics and suggestions for new accounts to follow. For example: in the screenshot below, you can see that a lot of people are talking about Manchester United FC. You can also tap to see more Tweets, and jump right into the conversation too! As an individual you would now have an avenue to keep up with trends happening in and around the web. As a business you would be able to help individuals keep up with what is happening in and around what you are offering. Is Twitter important for a Malaysian business? Twitter is an engaging platform for any business regardless of its domain (domain being the place it resides to do business). Any business on the Internet should shift perspective that most of their digitalized business online is actually in a "country" of its own. Engaging customers and being able to have a meaningful conversation is priceless. Drawing on both positive and negative reviews so that you can grow together to become a better brand or offering. Twitter is powerful, it gives people short important texts on the latest happenings so that everyone is kept within the loop. Get started with Twitter now! Follow us on Twitter for more engaging news about social media, technology, hosting, and the Internet. Our Twitter also posts up important news regarding the company, and also useful pointers to critical information.